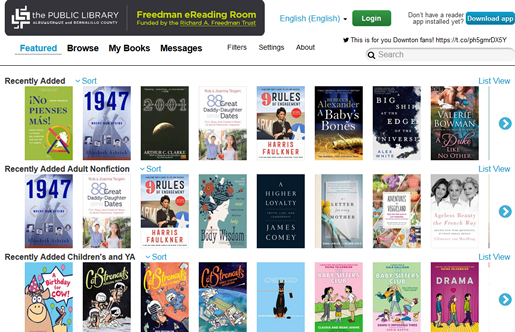 The CloudLibrary collection is funded through the Richard A. Freedman Trust, which enhances the Public Library’s services, collection, and provides designated areas for reading, study and contemplation. Customers are allowed 12 checkouts at a time and the period is 3 weeks. Not all items are listed in the library catalog, so it is best to either visit the CloudLibrary site or use the app.